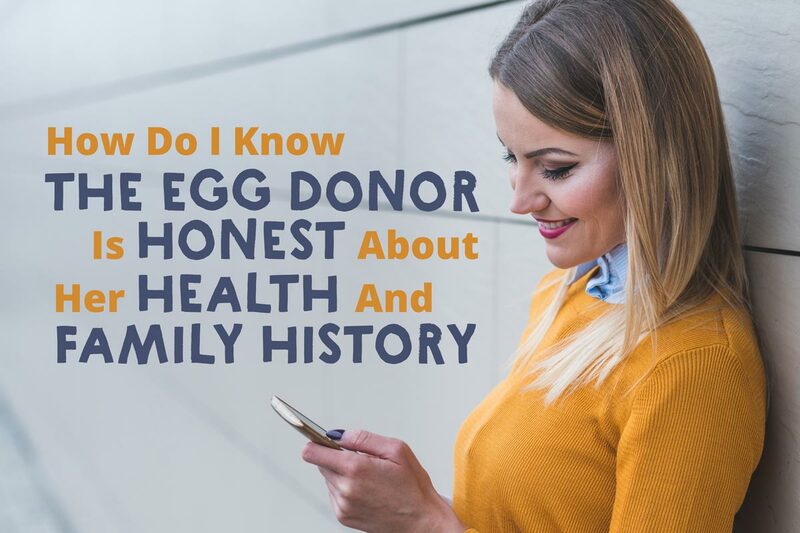 The egg donor application process includes an extensive family history and the donor egg recipient has access to this history. Remember that no one has a family completely free from disease with inherited tendencies, and there is no such thing as a donor with a perfect family history. Egg donor candidates have been known to omit a fact which they fear will eliminate them. We also believe that they often don’t know the answer or haven’t asked family members about questions that may be omitted. Frequently, donor candidates who mislead about one aspect of their history may also be unreliable in other ways and typically get eliminated as these come to light. We often rely upon our gut feeling, based on many years of experience, through interactions with donor candidates as well. Clinics and trustworthy agencies take the extra time to develop a long-term relationship with donors to develop trust, knowing that their ultimate responsibility is to find ideal donors to help our patients build the family of their dreams. Prior to beginning a donation cycle, donors undergo a psychological evaluation with a licensed clinical psychologist to review their goals and motivations. During the evaluation, donors are administered a standardized personality test (PAI or MMPI) to provide some information about their level of transparency and honesty. The PAI (Personality Assessment Inventory) or MMPI (Minnesota Multiphasic Personality Inventory) is an assessment that provides information relevant for clinical diagnosis, treatment planning and screening for psychopathology. This provides the psychologist information about any potential psychological problems or symptoms that may deem a donor candidate ineligible to proceed with a donation. Approximately 0.5 % of our applicants are approved to move forward and reach the final stage of the process by completing a donor egg cycle. While no screening is 100% perfect, we can assure you that we do our best to ensure the donor is being honest and that she has been screened by a licensed psychologist.